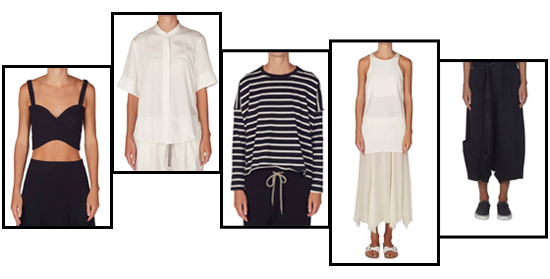 Borrowing from the Boys | Bassike Menswear Now at camargue! Long inhabiting the wardrobes of the most fashionable women, bassike's perfectly oversized tees, uber cool drop crotch pants and slouchy sweaters are what you'd call modern classics, aka total must-haves. It's a shame that the guys can't get in on the bassike action, right? Wrrrrong. In news that'll put a pep in the step of Brisbane fashionistas, James Street's camargue, our go-to boutique for bassike in Brisbane, has recently received bassike menswear for the very first time! Hallelujah, we say – if we have to see our boyfriends, fathers, or brothers don a flanno or daggy jean one more time, we were going to have to go all Queer Eye and stage a wardrobe intervention! So drop a casual hint or go all-out and tell him that shirt's gotta go; but whatever you do, make sure the fella in your life knows that he can't be without some bassike in his wardrobe. From the tee that he'll wear every chance he gets (you've seen the state of his underwear drawer – time to let go, bro…) to the combat pants that'll take him from day to night, he'll soon be just as obsessed with bassike as you are. Simple, effortless and easy to wear – you get the gist! Don't stress though ladies, you don't have to miss out on the fun. 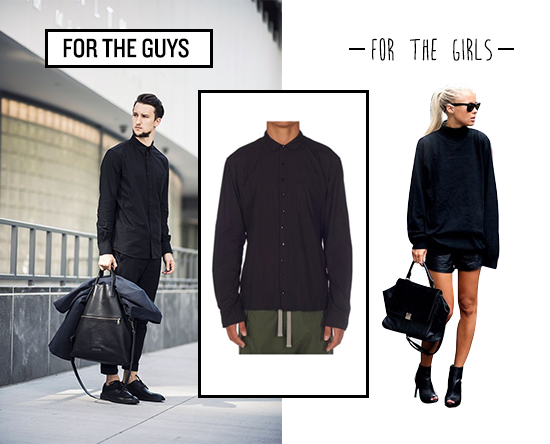 Style it up for him and then do what we do and steal it for yourself. We like to call it borrowing from the boys. 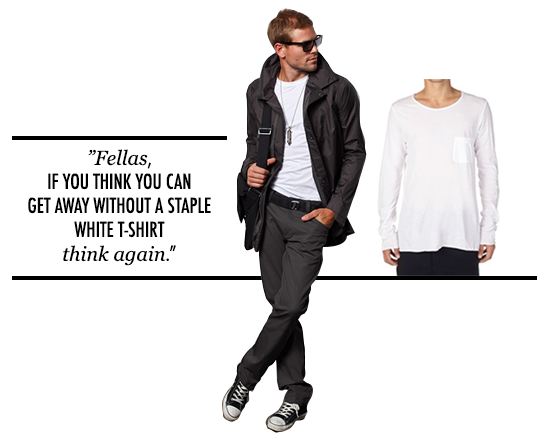 Fellas, if you think you can get away without a staple white t-shirt, think again. Add bassike's raw-edge, organic cotton tee to your wardrobe and watch yourself wearing it, ohhh, nearly every day. Pair with combat pants for day, or under a blazer at night. Nothing says casual cool like an oversized, slouchy t-shirt, and bassike do them best! Hijack your boy's tee and style back with distressed denim, or leather pants. 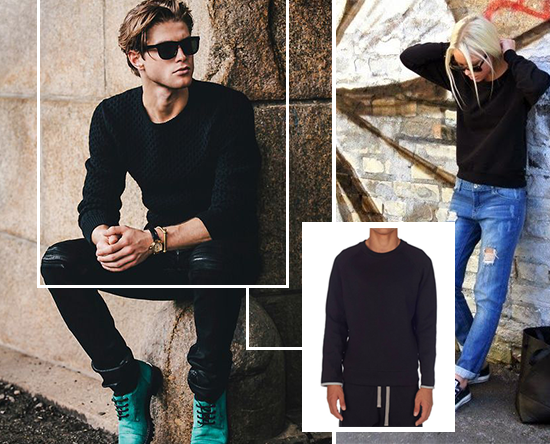 The perfect spring sweater (read: warm enough to ward off the night time chills but light enough to avoid sweltering), bassike's fleece crew sweater looks super cool when worn with an all-black outfit. Play with proportions by pairing the oversized fleece crew sweater with skinny leg jeans or leggings. If going with the latter, the sweater MUST cover both your crotch and kaboose – Fashion rule #470 (Leggings are not to be worn as pants) will be policed! 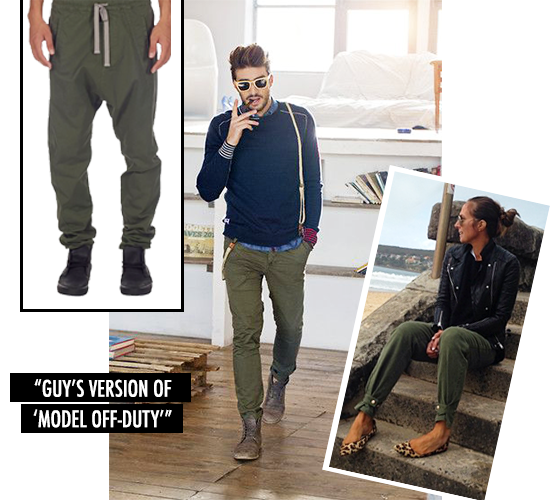 Consider the combat drill pants the key ingredient in a guy's version of 'model off-duty'. Best worn with a grey or black tee – whatever you do, don't whack on the matching shirt. We're going for street-cool, not street-fighter. Make like uber-blogger Tash Sefton, of TheyAllHateUs fame, and pair the combat pants with a cropped leather jacket and leopard shoes – flats for day, or stilettos for night. If you don't already own a casual shirt, then best you get your hands on bassike's version quick smart. Why? Oh you know, just because you can wear it casual, dressed up, open over tees, with chinos and denim, underneath sweaters…need I go on?! While there's a multitude of ways to wear the oversized shirt, we find ourselves wearing it most with skinny leather pants and heels, tucked into rip 'n' repair denim shorts, and also as an easy beach cover-up. Trust us, you need one. Who said track shorts were only for the gym? Certainly not bassike. 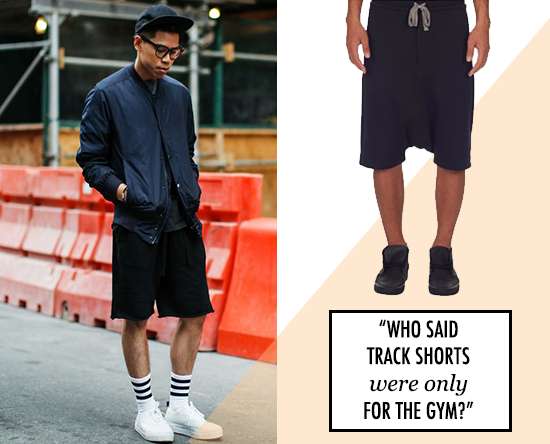 Fellas, while you can wear these shorts during your sweat sesh (if you must! ), we think they look best paired with awesome sneakers and a combat jacket. Embrace the drop-crotch trend by wearing the fleece track shorts with your highest heels – it keeps the look balanced. You want the top half to be sleek, so a simple tank and fitted blazer or leather jacket is best. Feel the need for some borrowing from the boys action? camargue is giving you the chance to win a $500 voucher to spend on new season bassike menswear – all you have to do is enter your name and email below and you're in the draw. The winner will be drawn at random and emailed directly. Entries close Sunday 14th September 2014 at 11:59pm AEST. Good luck! TUL Note: Today's List Love post is proudly sponsored by camargue and endorsed by The Urban List. Our sponsored posts will never be a secret - the List Love seal will be stamped on any sponsored material you see on the site. Thank you for supporting the sponsors who make The Urban List possible.